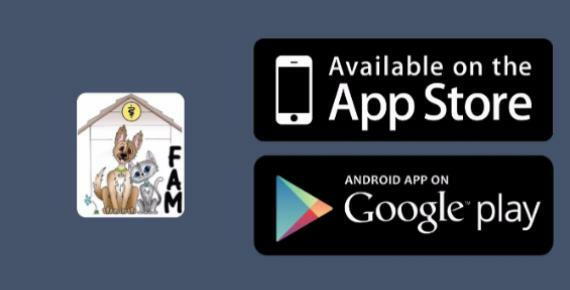 Now Available: FAM app on iPhone and Android! We are excited to announce that we are now officially in the Apple App Store and Google Play Store! Download our FREE app on your iOS or Android device to schedule appointments at our clinic, request medication refills, boarding reservations, access special promotional offers, and more! The app is intended for both new and existing clients. Download today to make being a pet owner easier than ever! Use the links below to download the app today.